Morning! 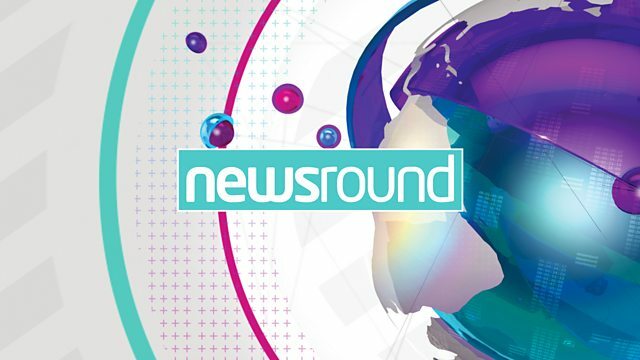 I'm Ayshah and this is Newsround. THe turtle a long way from home. And why these two are so happy. is closing the door on children fleeing violence and war. from six other mainly Muslim countries to travel to America. They talked about the relationship between the US and the UK. will be coming to visit the UK, later this year. To the story of a pretty epic journey. Ricky's got the full story. This incredible turtle has been on a journey like no other. Last November, she was discovered off the coast of Anglesey in Wales. found in warmer waters around Mexico and southern parts of the US. That's what this team are trying to work out. They've never seen an Olive Ridley turtle before. since records began almost 270 years ago. to stay below the water. through a lot of food. She's a real character, now we've got to know her. She is eating well, demolishing a couple of kilos a day. Menai drifted in strong currents to the UK. She's getting all the care she needs. A team of carers apply cream to her shell to stop it from drying out. enough to be released back into the wild. might want to take a few tips on celebrating from these guys. with this routine after they won the doubles title. Join me back here just after midday for all the latest. and the IAAF World Championships.